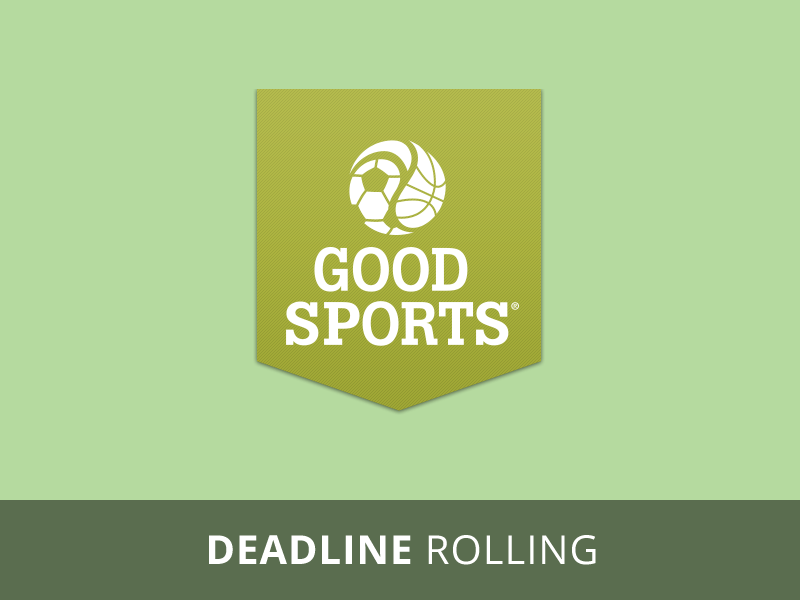 Good Sports distributes sports equipment, footwear, and apparel to community organizations offering programs to disadvantaged youth helping to lay the foundation for healthy, active lifestyles. Through innovative partnerships with sporting-goods manufacturers, corporate donors and individual funders, GS is able to provide disadvantaged youth with the equipment they need to participate. Your organization operates an organized sport, recreational activity, or fitness program that offers consistent and structured opportunity for play to large groups of children.